Sleep-onset insomnia is one of the two types of behavioral insomnia of childhood. It occurs when a parent's absence at bedtime causes a child to have difficulty falling asleep. This condition often occurs in infants and younger children around bedtime or after awakenings during the night. As with adults, a child's ability to fall asleep sleep may be based on conditions present in their sleep environment. These may include lighting, noise, and temperature. If the sleep environment is familiar and conducive to sleep, the transition occurs effortlessly. Young children and infants are especially susceptible to the influence of their parents in the sleep environment, and this may have important consequences. A child associating these conditions with falling sleep may become problematic. For example, when the child awakens alone, they may cry until their parent returns to the bedside and re-establishes the conditions that led to sleep previously. Most children awaken 4-5 times per night, and the repeated expectation that the parent be present and actively soothing them to sleep may lead to significant parental distress. It also causes children to wake up more often than they would otherwise, leading to excessive sleep fragmentation (interrupted sleep). In psychology, this phenomenon is called a conditioned response. The child comes to expect the presence of his or her parents during the transition to sleep. The solution is quite simple: The parent must break this association. Parents must dissociate their activities or presence from the act of falling asleep. This may mean putting the child to bed prior to being asleep. It may require varying soothing activities so that a consistent expectation is not established. Most importantly, children should be allowed to self-soothe when awakening during the night. This could be accomplished by allowing the child to simply "cry it out" (effectively breaking the association through extinction). This may be accomplished more gradually, using the ​Ferber method of graduated extinction. This therapy may require some diligence on the part of parents, and assistance may be required from a pediatrician, psychologist, or psychiatrist. Durmer, JS and Chervin, RD. "Pediatric sleep medicine." Continuum. Neurol 2007;13(3):162. Mindell, JA, and Owens, JA. "A clinical guide to pediatric sleep: diagnosis and management of sleep problems." Philadelphia: Lippincott Williams & Wilkins, 2003. Spruyt, K et al. 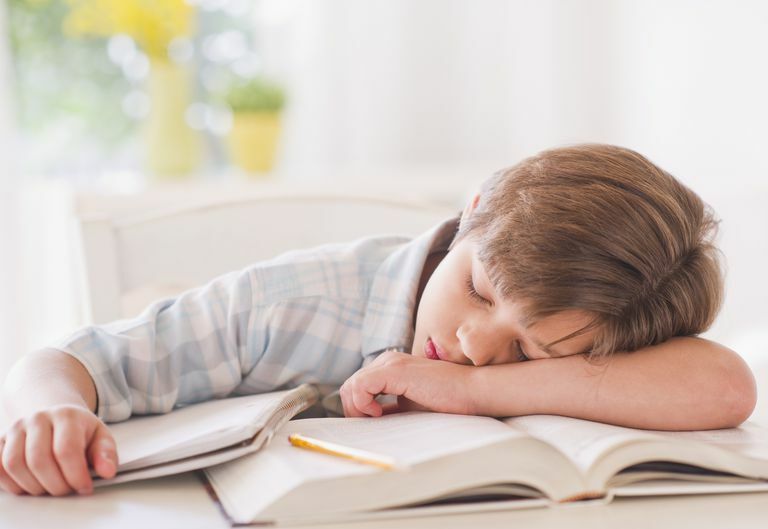 "Odds, prevalence and predictors of sleep problems in school-age normal children." J Sleep Res. 2005;14(2):163-176. Touchette, E et al. "Factors associated with fragmented sleep at night across early childhood." Arch Pediatr Adolesc Med. 2005;159(3):242-249. What Are the Most Common Types of Sleep Disorders?